As an ambitious young doctor with a penchant for research, Luke Bradford never wanted to set up practice in a remote rural town. 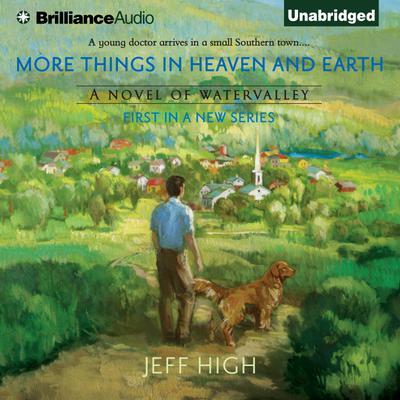 But to pay back his student loans and to fulfill a promise from his past, he heads for Watervalley, Tennessee—and immediately stumbles into one disaster after another. Will he be labeled the town idiot before he’s even introduced as the new doctor? Very quickly he faces some big challenges—from resuscitating a three-hundred-pound farmer who goes into cardiac arrest to not getting shot by a local misanthrope for trespassing. He expects the people of Watervalley to be simple, but finds his relationships with them are complicated, whether he’s interacting with his bossy but devout housekeeper, the attractive schoolteacher he consistently alienates, or the mysterious kid next door who climbs trees while wearing a bike helmet. For stories, recipes, and anecdotes from your favorite Watervalley characters, visit watervalleybooks.com.